Originally published Apr 17, 2018; updated Jan 10, 2019. Take a moment to think about your business’s approach to sales opportunity management. Do any of the following statements ring true? You don’t know if the opportunities in your pipeline are viable. You don’t know which opportunities to focus on. You take hours or days to follow up on opportunities. You don’t know your ratio of won to lost opportunities. If you answered yes to any of the above, it’s likely that potential deals are slipping through the cracks. Why does sales opportunity management matter? 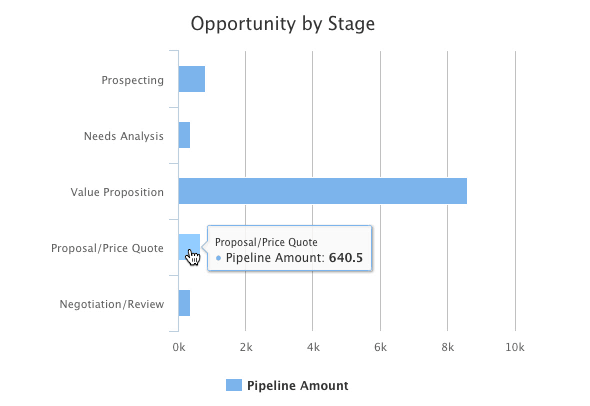 Sales opportunity management (or sales pipeline management) is the process of tracking potential sales as they move through your pipeline, as well as reviewing key metrics about closed deals. For small businesses using QuickBooks, this process may be messy or nonexistent. After all, accounting software is set up to track real sales from confirmed customers — not potential business from prospective customers. That’s where a QuickBooks CRM like Method:CRM comes in. Method lets you manage your sales opportunities separately from your accounting software — while still making it easy to send data to QuickBooks after closing a deal. Ready to get organized? Keep reading for five best practices in sales opportunity management. Although opportunity management isn’t the same as lead management, sales opportunities are closely related to leads. To determine whether an opportunity is worth pursuing, you need to identify some key facts about your lead. These include their responsiveness, budget, and purchasing process, as well as their authority to make purchasing decisions. This information will give you a realistic perspective on the likelihood of a deal going through. During this process, keep your sales pipeline organized by assigning a stage to each opportunity, such as “Needs Analysis” or “Identify Decision Makers”.As you learn more about your lead and their needs, you can update the opportunity stage accordingly. In Method:CRM, the sales pipeline consists of nine built-in opportunity stages, each of which represents progress towards closing a deal. You can even create your own custom opportunity stages to reflect the sales process and terminology used in your industry. There are only so many hours in a day, so you need to use them wisely. However, this doesn’t mean spending an equal amount of time on each opportunity. To effectively manage your pipeline, use the data you’ve gathered to identify your most promising opportunities and prioritize those. These may be the highest-revenue deals, the deals that are closest to closing, the deals with the most engaged decision makers — or all of the above. The key is to have a process for recognizing which opportunities need special attention. 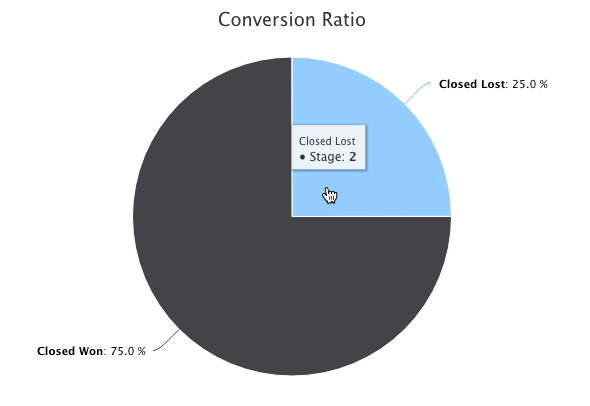 To help you identify your hottest deals, each opportunity stage in Method:CRM has an assigned probability percentage. Multiplying this percentage by the value of the opportunity gives you the amount of potential revenue in your pipeline. As a result, if you have a $1000 opportunity at the “Negotiating/Review” stage (90% probability; $900 in the pipeline) and a $1000 opportunity at the “Prospecting” stage (10% probability; $100 in the pipeline), it’s clear which one you should focus on. The odds of a web lead entering the sales process are 21 times greater if the company contacts the lead within 5 minutes, compared to responding after 30 minutes. The same principle applies to existing sales opportunities in your pipeline. If you wait too long to follow up with your prospects, they may turn elsewhere. Ensure that you’re answering questions and scheduling appointments in a timely manner. At every stage of the sales process, each opportunity should have a clear next step or follow-up activity. This may be an email, a phone call, or something more industry-specific like a pitch presentation or product demo. Logging these next steps in your CRM helps to keep your team in the loop so you’re not accidentally contacting the same lead repeatedly. Method:CRM makes it easy to see which users have upcoming and overdue activities. You can also filter your list of opportunities to view those with no scheduled follow-ups. Nothing spoils an opportunity faster than promising to send the customer an estimate and failing to do so. Whether you were waiting on someone else, didn’t have the necessary info, or were reluctant to clutter up QuickBooks, it doesn’t look good when you can’t deliver on this essential stage of the sales process. Using a CRM that integrates with QuickBooks solves these problems by making it easy to send as many estimates as you need. 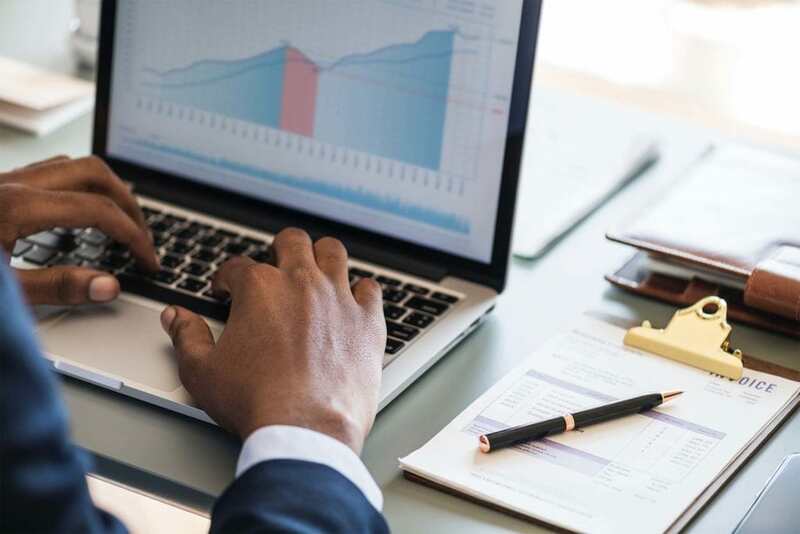 Not only can you create estimates using QuickBooks items without needing direct access to QuickBooks, but these estimates linked to your sales opportunities live only in Method:CRM. Better yet — once you close a deal, you can convert the final estimate to an invoice that is also linked to the opportunity. The opportunity will stay in Method, but the invoice will automatically sync to your QuickBooks file. You’ve likely heard that “insanity is doing the same thing over and over again, but expecting different results”. To win more deals and improve sales, it’s critical to review your process for managing sales opportunities and identify areas for improvement. These reviews should occur at regular intervals, so you can track your progress over time. The amount of revenue per opportunity source. 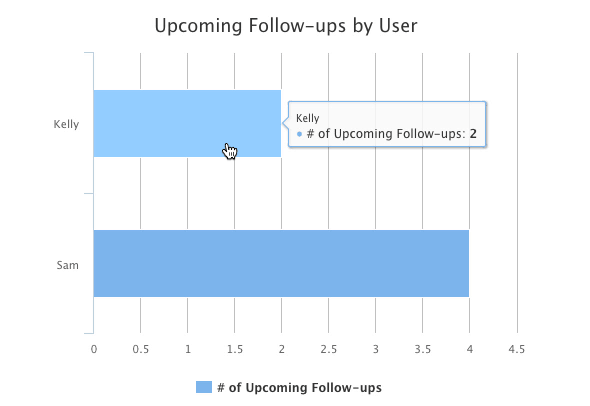 You could also dive deeper into your CRM data to look at other valuable metrics, like the number of follow-ups per opportunity, the length of your sales cycle, and your leads’ satisfaction with your sales approach. Proper sales opportunity management takes some time and effort, but the payoff is well worth it. If your business is struggling to manage sales opportunities within or outside of QuickBooks, it may be time to adopt a new solution. Ready to optimize your sales opportunity management?